Making the perfect french toast always seems to be hit or miss, but not anymore! We have come up with the perfect recipe. It wasn’t until a few of my friends kept asking for an awesome how to on making this classic breakfast dish. There are a lot of renditions of french toast, but the classic way is always the most desired. 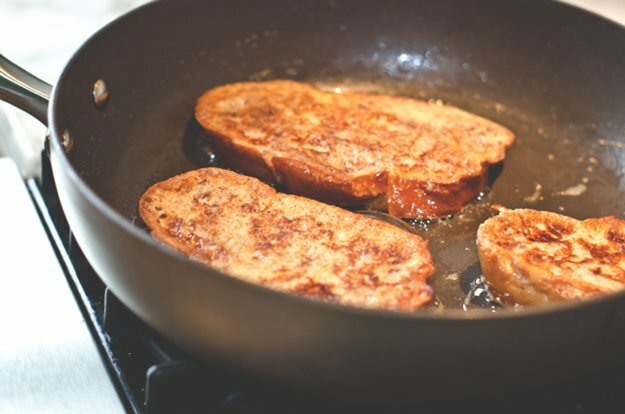 Here is a simple recipe that will have you making french toast in minutes! Set the stove or electric pan to medium high heat. Place the pan over the burner if cooking over the stove. Add non-stick spray, olive oil or butter so that the bread will not stick to the pan. Add milk, vanilla extract, nutmeg, and cinnamon and beat them with a fork or whisk. Put the toast on a plate. Then serve immediately with maple syrup. Enjoy! How did yours turn out?! Share your photos on our facebook!